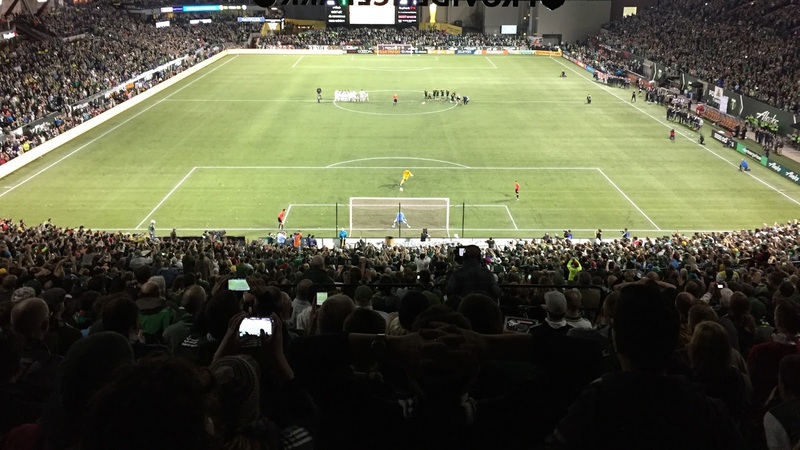 PORTLAND, Ore.—The Portland Timbers beat Sporting Kansas City at their own game Thursday night at Providence Park. The home team managed to pull out a dramatic 7-6 penalty-kick victory that came down to a sudden-death showdown between the two teams' goalkeepers, and a bizarre double-post miss by Saad Abdul-Salaam that would have given Sporting the win. In the end, Timbers 'keeper Adam Kwarasey slammed home his effort and then saved the attempt from Sporting youngster Jon Kempin, who was forced into the game in the 84th minute after starter Tim Melia came off due to injury. 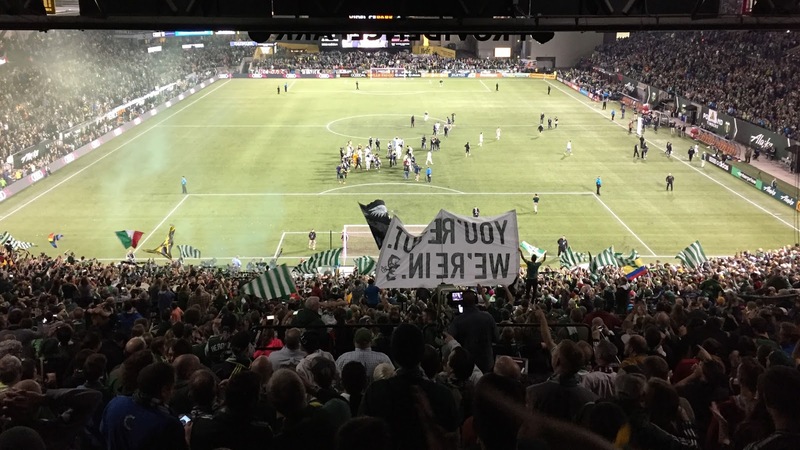 The Timbers now move on to the Western Conference Semifinals against No. 2 seed Vancouver Whitecaps, a two-leg series that starts Sunday in Portland. The first half proceeded scoreless, but physically, marked by 17 combined fouls (nine for Sporting) – which in the second half, flared into a brief scrum between the two sides after a Sporting foul. Portland opened the scoring in the 57th minute courtesy of Rodney Wallace, when a Nat Borchers header at the top of the box fell free in the area. Wallace broke away from a crowd and poked it past Sporting goalkeeper Tim Melia, making for Portland's first goal against SKC in four meetings this season. Sporting's attack eventually had Portland reeling – temporarily. Kevin Ellis did the first part, with an 87th-minute corner-kick header goal delivered on a platter by Graham Zusi. And then, after a 1-1 draw at full time, Krisztian Nemeth played would-be hero again, scoring a dagger in the sixth minute of the first extra-time period. But magic returned for Portland, two minutes from the final extra time whistle. Dairon Asprilla took a throw-in at the right edge of the penalty area, spun, and sent a pin-point across the center of the box that Maximiliano Urruti headed home to send the crowd into hysterics. Portland last advanced to the Western Conference Championship in 2013, and after Thursday night's dramatic win, they've notched another opportunity to return. 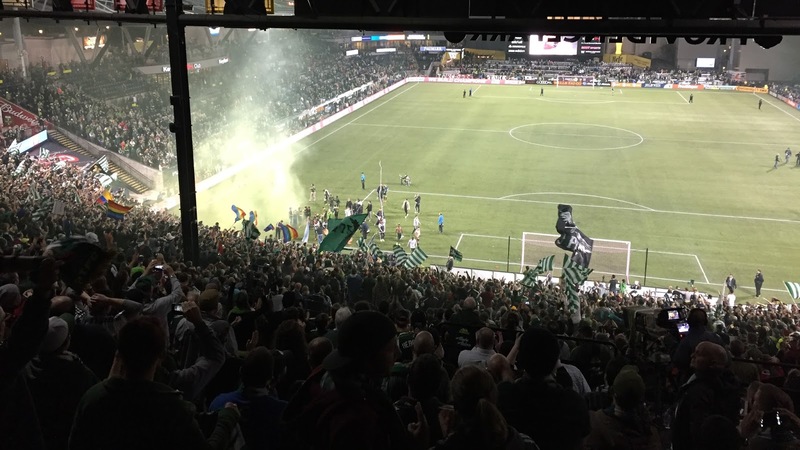 The Portland Timbers defeated Sporting Kansas City after a full 90 minutes of regulation, two 15-minute periods of extra time and a thrilling penalty kick shootout that all the way to the 11th man, or last player for each team on the pitch. If you want to re-live the experience, get a look at our photo gallery provided above and recap every penalty kick with a description of what happened on each try along with some video highlights of the key moments. - Diego Valeri is the first kick taker for either team as Portland gets the first chance on goal, but he misses. Bad start for Portland. - Benny Feilhaber will be the first up for Sporting KC and he shoots and puts it past Adam Kwarasey for the conversion. SKC leads Portland, 1-0. - Nat Borchers is up next for Portland and he converts with a shot put past Jon Kempin, but SKC still has the advantage over Portland. We're tied at 1-1. 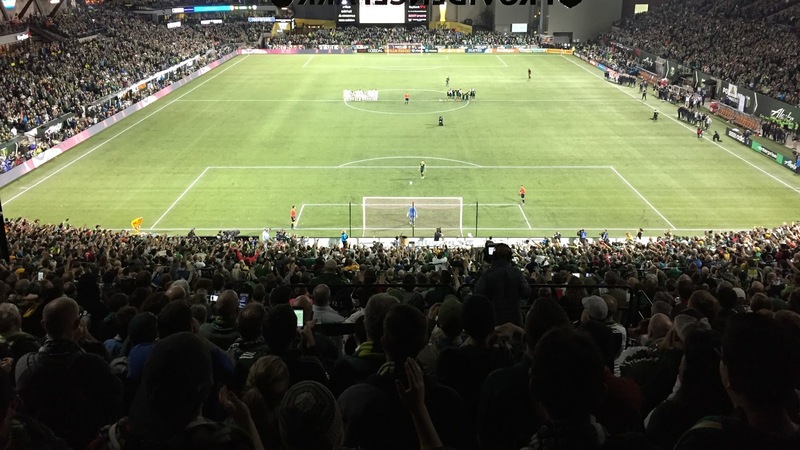 - Dom Dwyer steps up to a chorus of boos from the Providence Park crowd and then Adam Kwarasey saves the chance! 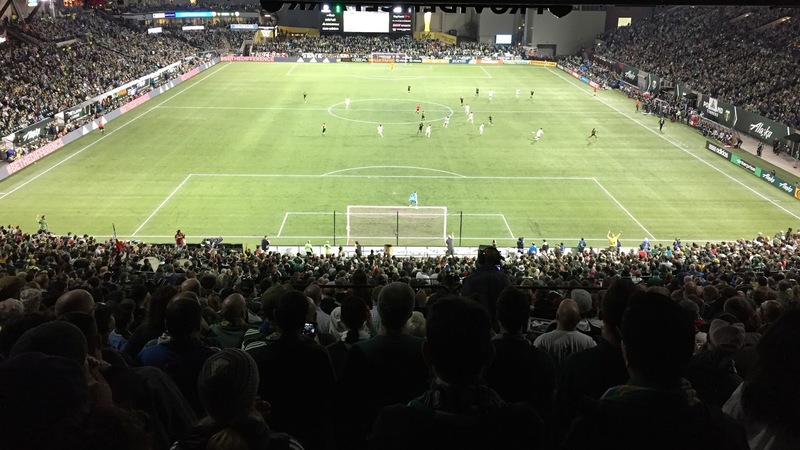 Timbers have reclaimed the advantage, but can they capitalize? Still tied 1-1 now after two rounds. - Liam Ridgewell is up next for Portland and he converts easily and points to the crowd. Timbers leading 2-1 now. - U.S. Soccer's Graham Zusi steps up for Sporting KC and he converts with ease as well. We're tied at 2-2 after three rounds. - Jack Jewsbury comes up for Portland and he wiffs on his try, a terrible effort sent over the bar. 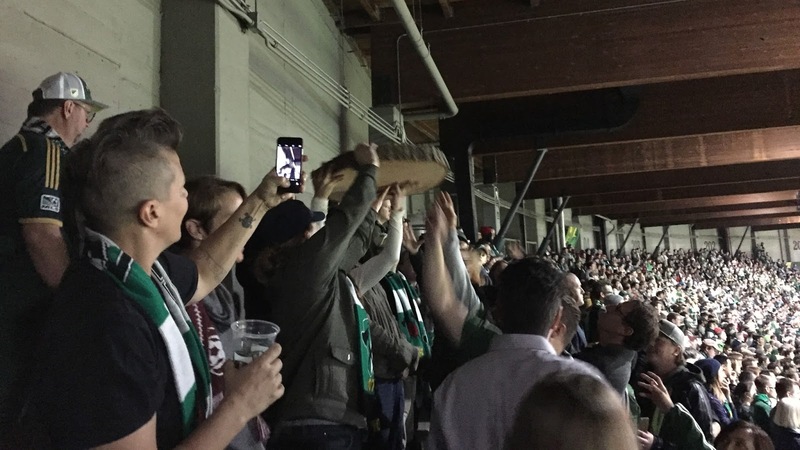 Timbers lose the advantage again. Still tied 2-2. - Lucky for Jewsbury, Matt Besler is up next for SKC and he misses his chance in similar fashion as the ball sails over the bar. Still tied 2-2 after four rounds and Portland has the advantage back. - Maximiliano Urruti is up for Portland. He converts his chance with ease and then celebrates with his arrow motion to the crowd. They love it. Portland leads 3-2. - Brazilian Paulo Nagamura comes up for SKC and slips a try past Adam Kwarasey to tie things up once again at 3-3 after the fifth round of penalty kicks. - Jorge Villafaña up next for Portland, and his chance is saved by Jon Kempin! Portland could lose it here if SKC converts. - Kevin Ellis steps up for SKC with a chance to win it, and he hits the post! We're still tied at 3-3 after the sixth round. - Dairon Asprilla with a chance to put Portland back in front and he does so with a cool and clean conversion. Portland up 4-3 now. - French midfielder Soni Mustivar will have another try to make it level for SKC, and he does. Teams are tied at 4-4 through seven rounds of penalty kicks. - Darlington Nagbe with another chance to break the deadlock, and he does with a quick shot that's past the keeper. Portland up 5-4. - Jacob Peterson fires right back for Sporting KC with a clean conversion of his own. Teams now tied at 5-5 after eight rounds. - Alvas Powell comes up for Portland, and his shot is blocked! Sporting KC will have a chance to win it with a conversion on their next try. - George Fochive comes in and takes a quick shot that slips past the keeper. Portland again has the advantage. A miss here by Sporting KC and they win. Timbers up 6-5. - Amadou Dia, another Sporting KC rookie, comes in front of goal and puts it past Adam Kwarasey for the conversion. We're tied 6-6 after ten rounds. It all comes down to the goal keepers who will attempt shots on each other now.